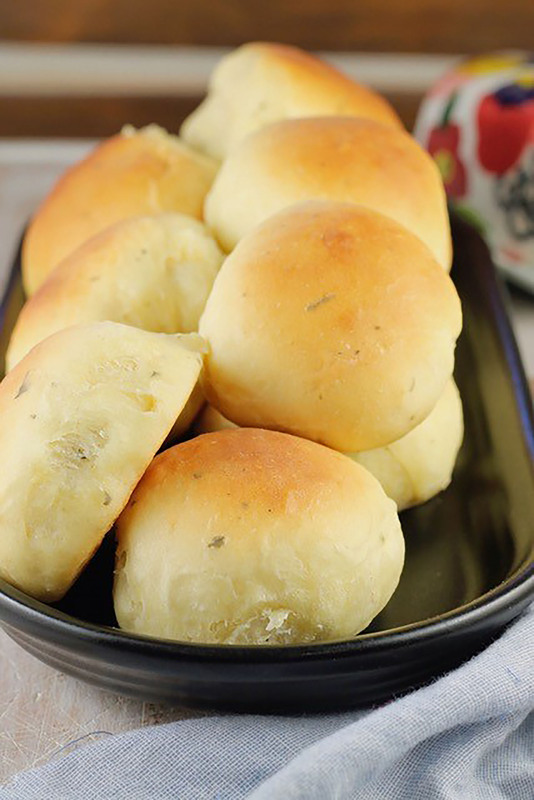 A light and delicious homemade roll recipe packed with tangy flavors. They make a great addition to both every day and holiday meals. Add buttermilk, yeast, sugar and melted butter into a large mixing bowl. Stir to combine and set aside for about 5 minutes or until yeast starts to bubble. cup at a time until dough forms a ball and pulls away from bowl. Pour onto a lightly floured surface and knead for 3-5 minutes, adding remaining flour as needed. Place dough in a lightly oiled bowl, turn dough to grease all sides. Cover with a tea towel or plastic wrap and set in a warm place for an hour or until dough has doubled in size. Punch dough down to remove air bubbles. Divide into 16 equal pieces and shape into balls. Place in a greased baking pan about one inch apart. Cover and let rise in warm place for about 30-60 minutes, or until indent remains after lightly touching rolls with fingertip. Preheat oven to 375°F. Bake for 12-15 minutes or until golden brown.